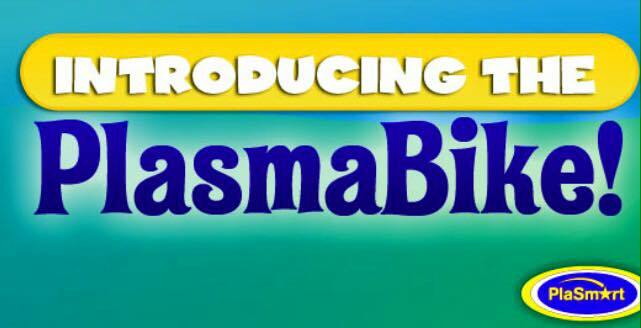 The PlasmaBike from PlaSmart Toys is a beginner's balance bike. There are no peddles, no batteries and no gears. To put it simply, it's a lightweight bike that allows children as young as 18 months to get the excitement of riding a bike without having to worry about keeping their balance. Unlike other bikes, the Plasmabike has super wide wheels that can assist children in keeping the bike upright instead of tumbling over. The wide wheels and limited steering range enhance balancing and provides a smoother transition to a conventional 2-wheel ride later on. 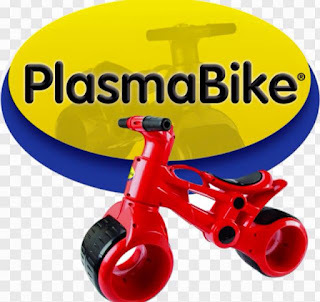 My youngest son got to be my reviewer for the PlasmaBike. His eyes lit up when he saw it, as he had never seen a riding toy quite like this. I love that its low to the ground, making it easy for him to get on and off. The wheels move with a smoothness that allows him to move around with ease. Im also loving the stability of the bike. The small design makes it perfect as an indoor toy as well as outside. There's no worrying about chains breaking or tires going flat, that itself is a hassle for Mommas to deal with. There's a horn in the middle of the handlebars so our kiddos can "warn" people their coming (I've heard that beepy little horn a hundred times today already haha) My son has had a wonderful time with his "bike". 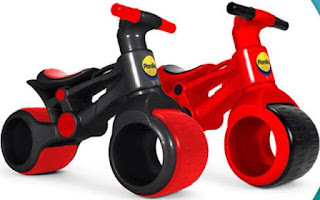 I think these are the perfect Christmas gifts for toddlers. How would you like to win one just in time for Christmas? Check back on November 1 for a giveaway. Smart, simple toys. 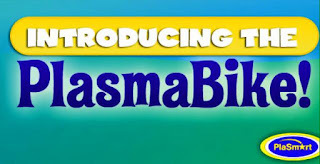 Plasmart chooses products that are smart, simple, fun and unique. We avoid electronic toys and toys that are complicated to understand or operate. We continue to seek unique, one-of-a-kind toys that meet this smart and simple philosophy. 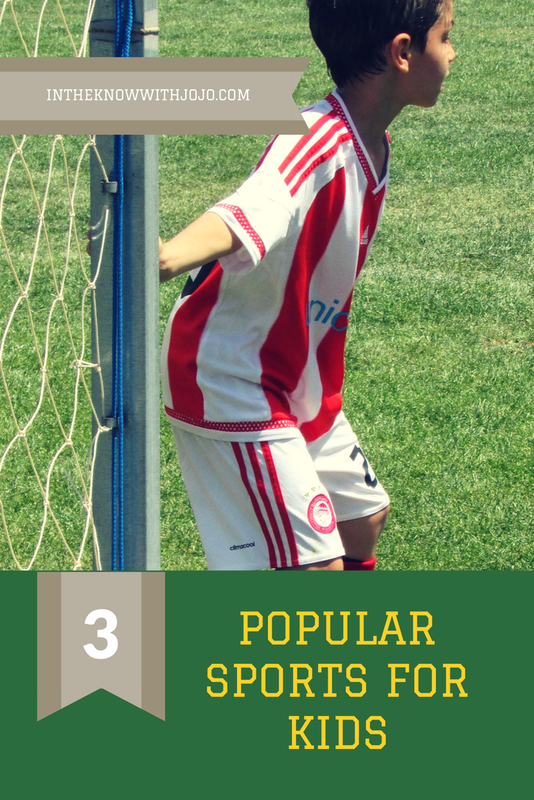 In addition to our smart, simple toys philosophy, we have an internal belief of "under promising and over delivering" to our retail partners with regards to products. Although there is an expectation to continually introduce new products, we resist the pull to add items for the sake of showing retailers something new. We focus on delivering products that offer a unique value for retailers and their customers alike. Gobble It Up Reviews received a sample in order to facilitate this review. All opinions stated are my own and were not persuaded in any way. I like the wide wheels, making it easier and more stable to ride. New #Holiday Deals at Cricut!